Ailsa’s theme this week is Curves. This theme got me thinking about all the curves of nature I have captured during the past three weeks. 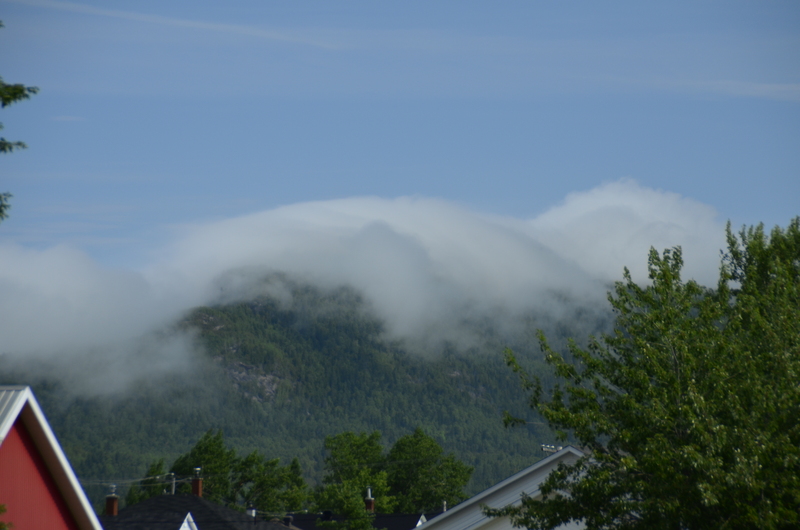 One of the first was the curve of fog creeping over the mountains off the St. Lawrence River in Quebec. 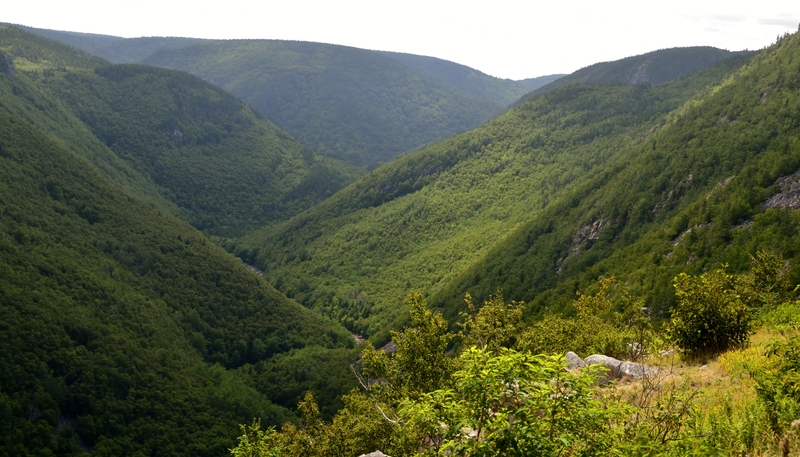 We went down so many curvy roads – they had to follow the curves of the mountains. 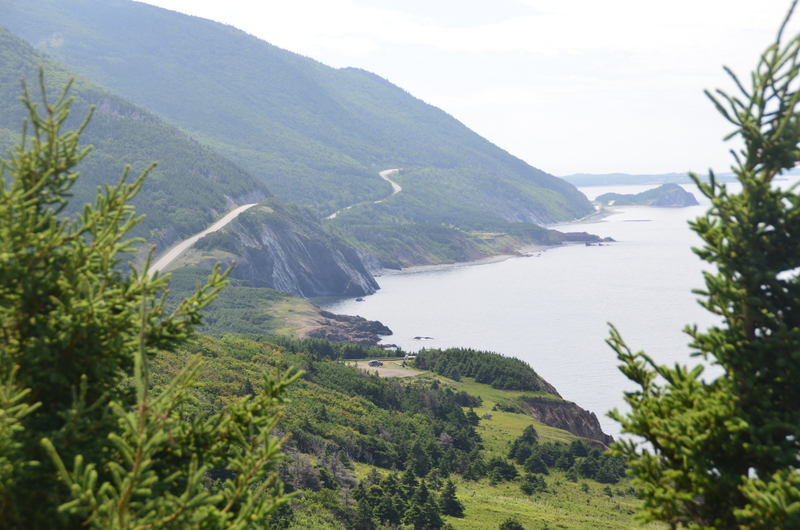 This road was on the west coast of Cape Breton Highland and like all the other roads, each curve and hill led to another beautiful view of mountains and water. The curves of the mountains seem soft because they are old mountains. The curves of the coast seem rugged and hard because they are stone. Does our eye prefer curves to be soft and sensuous – to be symmetrical? I have posted this picture before but I can’t resist the curve of the wave. 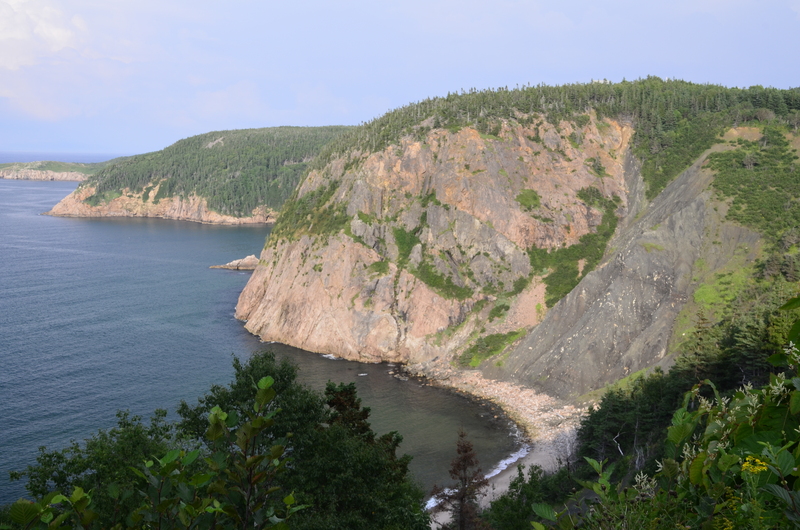 South of Gros Morne National Park we turned off on an unmarked trail to the beach – to explore. 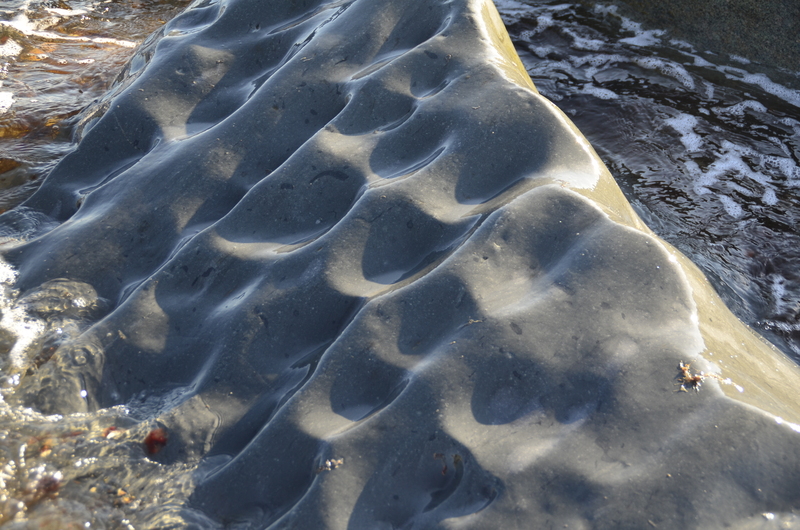 We are stumped as to how this rock could developed so many curves. Anyone know? 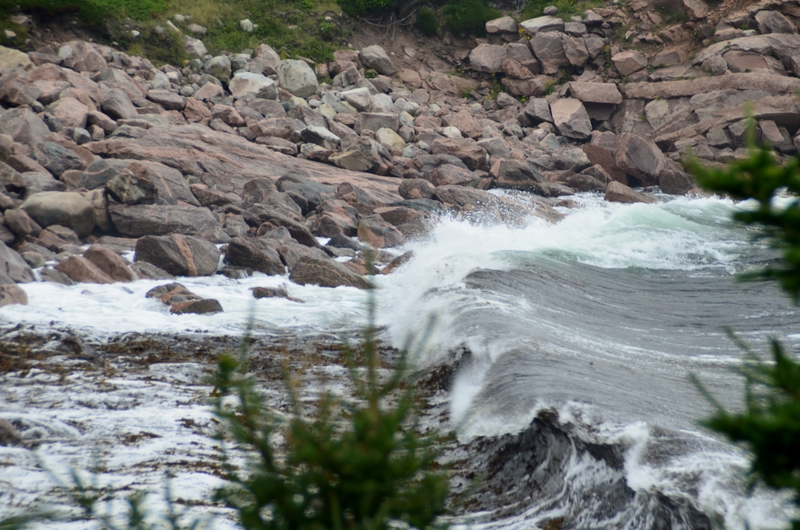 Is it wave action as the waves come from the back and tumble down this side? Thanks. Maybe we have a geologist in our midst. GREAT photos to represent the theme! Thanks. I really like the theme and your comment made my heart smile. Hmmm… The rock is incredible! that wave and rock is absolutely great. thanks for sharing it. Your welcome – thanks for reading. There are never any straight lines in nature, are there? 🙂 Wonderful selection of images for the theme! Beautiful curves, Pat. Nicely done. Thank you. I appreciate the nice feedback and especially the fact that you visited. I’ve been trying to for a while, but have a bit of a WordPress Gremlin. It’s playing ball with me today so I’m trying to catch up a bit. I’ll be back.